It’s easier to hear God in the desert. The concept of noir, the French word for “black,” has existed in contextual form since the advent of the written word. From the bleak, apocalyptic warnings of The Old Testament, to the canon of Shakespeare, to its eventual codifying as genre by American and British authors starting in the 19th century, most notably with Doyle and Poe, writers have sought to popularize and render irresistible all the dark, shifting drives scuttling under the human hide. Almost exclusively crime-oriented in its nascent novel form, the noir movement has since evolved to harness elements and tropes from science fiction, horror, fantasy, and more recently, from all their transgressive subgenres including body-horror and the grotesque. Out of these nefarious parents has spawned a new movement being heralded as Neo-Noir, or “New Black,” its pioneers ranging from elder statesmen like Stephen King, Flannery O’Connor, and Joyce Carol Oates, to its modern practitioners of Jack Ketchum, Mary Gaitskill, Chuck Palahniuk, Laird Barron, and Stephen Graham Jones. Going beyond the nihilism and anti-heroes which were the staples of hardboiled fiction, the Neo-Noir movement has sought to utilize the accessibility, luridness, and immediacy of genre fiction, and meld it with the sensibilities and marrow deep investigations typically reserved for more literary work—the term literary itself now becoming an amorphous, less defined and rigid category itself, and for the better. All of which brings us to a collection of stories exemplifying this evolution in literature’s dark arts, as it were. 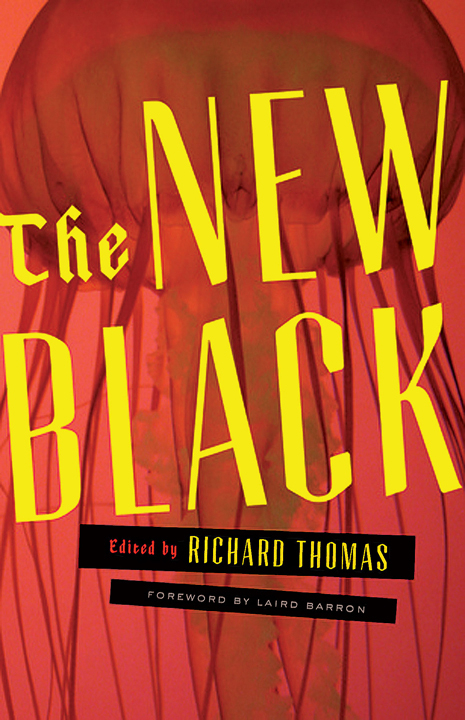 The New Black, edited by Richard Thomas, features Neo-Noir tales from twenty established and rising authors in this ever-progressing genre. These stories—equal parts guts, groin, and yes, heart—burrow under the skin and hammer stakes into bone, taking the reader as far as some dare go, and then yanking them even further beyond their tolerances. There’s a little in this collection for everyone willing to take that extra step into that dark room with the eerie clicking noises, or reach just a little further for that outstretched child’s hand groping from the abyss. Thwarted expectations and the quiet desperations of people are one of the many themes explored in The New Black. Richard Lange’s Fuzzyland mines the domestic imbalances wrought from a man’s jealousy and spite for the slice of perfection taken for granted by other parties around him, this as he visits his sister who’d recently been raped. In That Baby, Lindsay Hunter wrestles with the dilemma of how a newborn can radically alter a marriage, sometimes for the worse, in her disturbing parable of post-partum depression. And in Roxanne Gay’s How, twin girls of a family of indifferent brothers, a drunken father, and an absent mother, finally gather up the courage to break the shackles of traditional destinies. The banality and disassociation of evil and sin squat hard within these pages as well; probings of loneliness and anxiety, and how they quietly snip at the sutures of civility. A religious man, denying himself the temptations of the flesh from his nubile cousin to any number of roadside prostitutes, tests his ultimate limits in the desert like the prophets of old in Craig Clevenger’s Act of Contrition. In Rebecca Jones Howe’s Blue Hawaii, a formerly disfigured girl finds acceptance during a sexual liaison with the new neighbor, costing her the rediscovery of her self-loathing in the process. A lonely telemarketer, seeking comfort in the inhuman hum of a million anonymous conversations, ponders a body found dangling from a cell tower until the realization slowly dawns that he may be more than just a spectator in Benjamin Percy’s Dial Tone. Dredge, by Matt Bell, finds a solitary factory worker so silenced by childhood trauma that his only outlet is to commune with the drowned girl he found while fishing, and whom he hoards from her searchers in his garage freezer. And in The Etiquette of Homicide, by Tara Laskowski, and Sunshine for Adrienne, by Antonia Crane, the strained apathy is taken to its logical, frightening conclusions by a matter-of-fact instruction manual on the how-tos of murder in the former, and the inevitable boredom towards gruesome exploitation experienced by a junkie between fixes in the latter. Several of the stories echo latter-day Rod Serling twists on the illusion of self-improvement—merciless, yet elegant studies on the futilities of facsimiles, band aids, and purgings to mend underlying aches. Kyle Minor’s The Truth and All Its Ugly spotlights the bonding of a father with his son through wasp shellacking and the snorting of methadone, and discovers that merely replacing loss with something similar does little to repair that loss. In Roy Kesey’s Instituto, no amount of engineered, store-bought, external perfection can erase even the most minute of emotional scars from the past. The forcing of happiness at any cost yields unintended consequences in Joe Meno’s Children are the Only Ones That Blush, where twins are made to undergo therapy by their parents for issues they don’t even have. Nik Korpon brings his hardboiled sensibilities to His Footsteps are Made of Soot, in which a neighborhood kid tormented by memories of his abusive father, and who spends his nights assisting a doctor with illegal house surgeries, is willing to go to extremes to have his horrid past erased. And in a twist on the preemptive, Vanessa Veselka’s Christopher Hitchens takes recall-pain a step further by having a mother, who’s convinced that her daughter will soon die, enlist an acupuncturist to remove any vestiges of faith left in her so as not to suffer, only to realize more painfully the paradoxes inherent in this ploy. But as alluded to earlier, the heart is no less a player in this dark and malefic anthology. Here, attrition through love is no less destructive, crippling, gruesome, and ultimately edifying, and we’re exposed to this right off the bat. 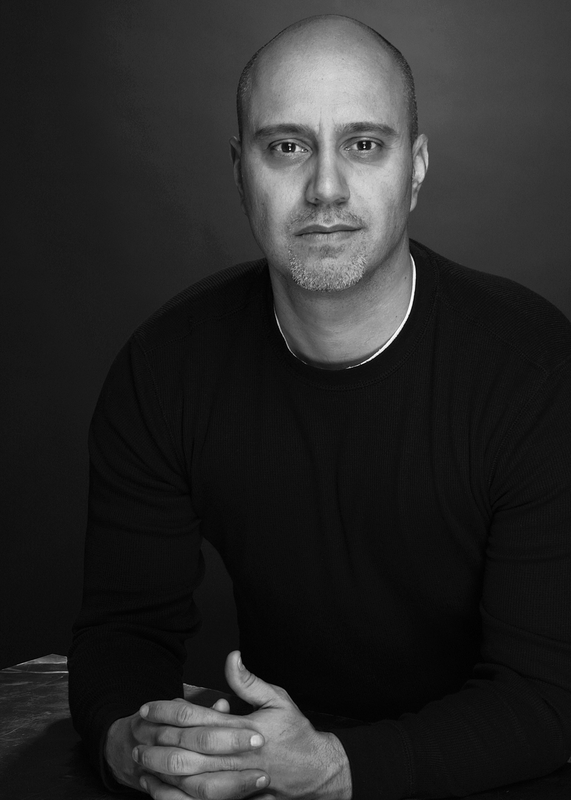 Leading off the anthology is neo-noir veteran Stephen Graham Jones’s Father, Son, Holy Rabbit. More than just a lost father-and-son in the snow mini-epic, it’s also a delicate story of paternal sacrifice and love. A giving of body and soul in the deepest sense. In It’s Against the Law to Feed the Ducks, a young boy is allowed to be his precocious, playful self despite impending disaster in Paul Tremblay’s examination of the lies, rules, and regulations we impose upon ourselves to feel safe, and how we stick to them despite their fallacy and ultimate pointlessness. Craig Davidson has crafted a heartbreaker called Rust and Bone, in which a broken-down fighter smashes himself both physically and emotionally to save the life of a loved one. Yet in some cases, the need to preserve love is so powerful that the fantastical is the only form to give it flight. In Micaela Morrisette’s lyrical The Familiars, a mother bears up to the inevitability of losing her son’s purity and innocence, never mind that this innocence is also a sentient, defiant, lethal thing. A little girl, bolstered by her father’s refrain that all can be explained, learns the fallacy of this in a nesting-doll cascade of terror involving an ever-changing dollhouse in the attic in Craig Wallwork’s Dollhouse. And in the collection’s final story, Windeye, by Brian Evenson, we’re sent off with a beautiful and haunting fable about memory, and the preservation of love as the ultimate form of immortality. Richard Thomas has managed to cull an eclectic and uncompromising array of twenty writers intimate with the strains of the human soul, and has arranged their collective opus in a single volume of still discernable, unique voices. The broken, tortured lives of the characters within have no punches pulled, no redemptive finales offered them not riddled with irony and resentment. And yet we can’t look away, fascinated by the macabre, the surreal, the misshapen, and the averse recognition that The New Black heaves at us in spades.